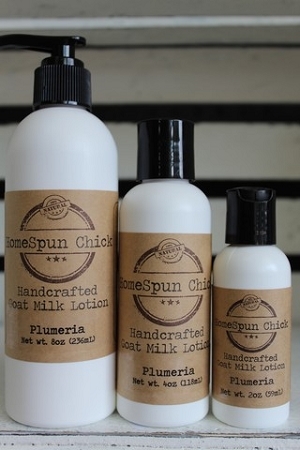 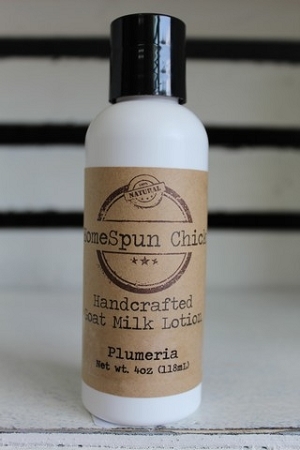 Plumeria Goat Milk Lotion is scented with Plumeria Fragrance Oil. 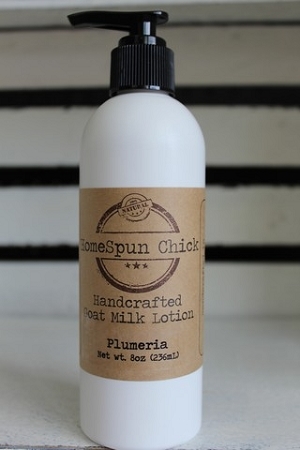 This is a tropical fruit scent which is great for spring! 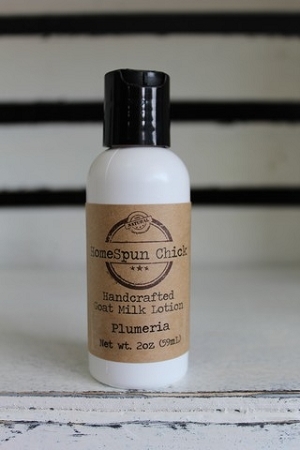 The smell makes you want to wander onto the nearest plane and go island hopping. 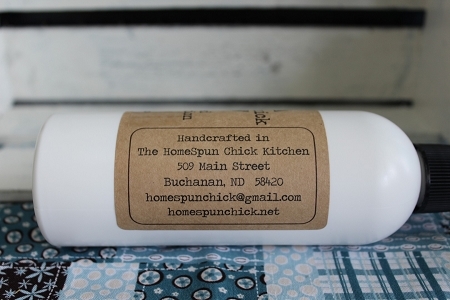 It's a sweet ambrosial nectar that is sure to please the most discerning nose.